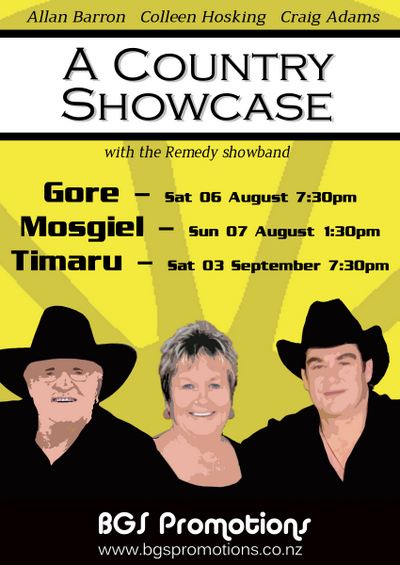 Local South Islanders Allan Barron, Colleen Hosking and Craig Adams are set to present a showcase of your favourite country styles! 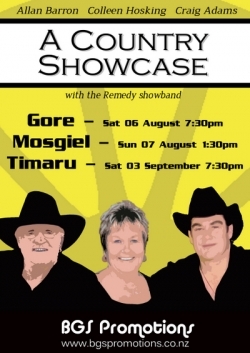 The Remedy showband is back again this year and they’re ready to set the beat for a great show! 1:30pm at the Hotel / Motel Taieri.